The most common reason why we don’t lose weight when we diet is that we aren’t in a calorie deficit. The best way to maintain a calorie deficit is by eating fewer calories than you need to maintain your weight. In other words, you will lose weight if you eat fewer calories than your body needs to maintain its current weight. It is really that simple. To find out what this means for you, plug your info into our keto calculator and follow those recommendations to see if you start losing weight. Another important concept to understand is that weight loss may not be a stable, predictable process for you. You may lose 2 pounds one week and nothing the next week, but as long as you have lost weight at the end of the month, you are on the right track. If your weight loss has stalled for a month, then try implementing the plateau busting strategies that you will find in this article. 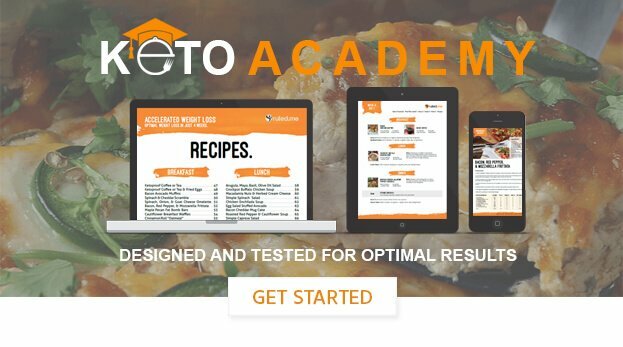 And if you’d like to learn more about obesity, the keto diet, and weight loss, click here.